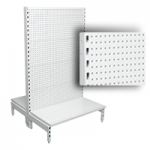 One of the big advantages of pegboard displays is their versatility. 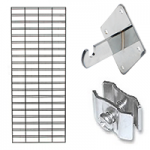 There are so many different ways that you can organise your displays using pegboard hooks and accessories as well as traditional shelving. 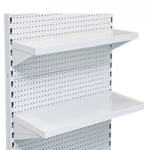 The pegboard shelving system fits in nicely with any type of Australian retailer from sports and surfing shops to chemists and hardware stores. 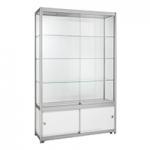 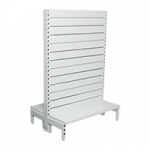 Units are available as free-standing gondola shelving or as wall-mounted systems, and the range of accessories are available in different sizes and are easy to put up and remove. 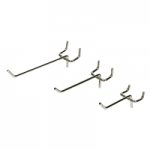 Display hooks are great for creating an effective hangsell display for anything from jewellery to packaged stationery products. 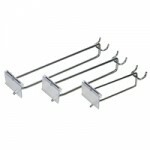 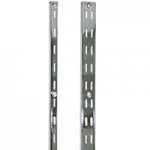 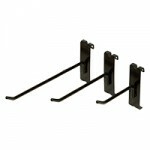 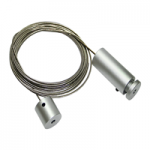 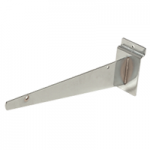 These hooks operate in a similar fashion to slatwall prongs and wire mesh display hooks. 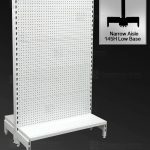 They slip easily into the pegboard holes and can be adjusted at any time if you want to alter the height of a display or the distance between two hangsell displays. 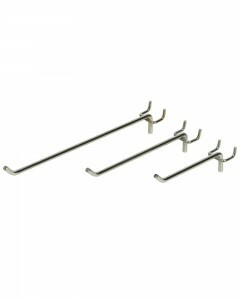 Different sized hooks are available, from small lightweight chrome hooks to longer, larger hooks than can hold heavier items. 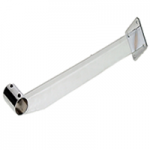 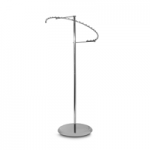 Other display hooks which are also available include loop hooks, which are designed to hold packaged goods, are flipper scan hooks, which can be used to display information on products (e.g. 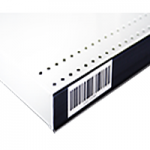 pricing). 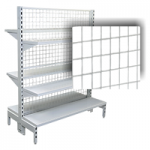 Pegboard units can also be fitted with removable traditional shelving for stacking of items in stores such as chemists, newsagents or supermarkets. 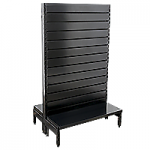 Free-standing metal gondola shelving units can be used to create aisles of stock that can be easily browsed. 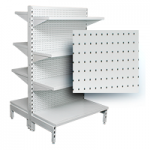 Because pegboard units have so many holes to attach accessories, shelving can be arranged tailored to individual requirements. 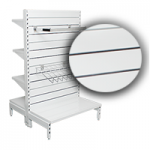 Units can hold multiple closely stacked shelves, or shelving can be spaced further apart. 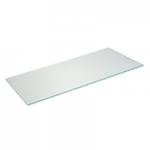 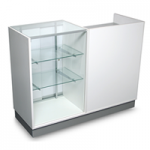 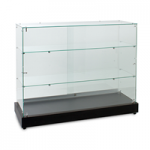 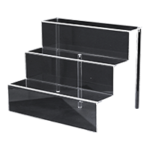 Shelving is available in metal, glass and melamine wood in various different colours. 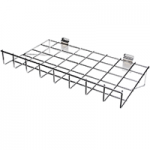 Metal shelving is the most popular type for pegboard displays. 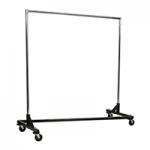 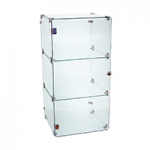 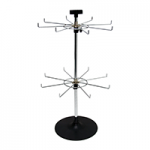 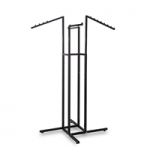 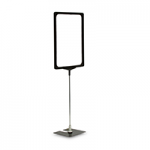 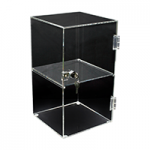 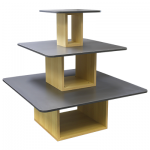 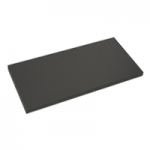 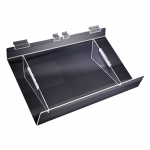 display stands in varying sizes, suitable for footwear and electronic goods such as mobile phones and iPads. 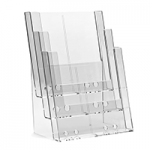 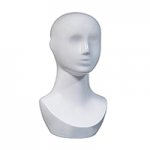 These can be used for larger loose items that may be a bit too unusually shaped for display on traditional shelving and too big for acrylic baskets. 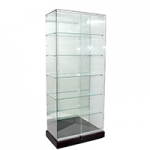 These items might include children’s toys, small tools sold in hardware stores, loose stationery items, etc. 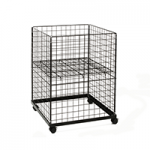 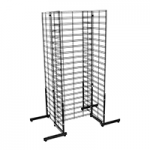 Front fences are similar to wire baskets but not as deep and are used to display magazines, newspapers, etc. 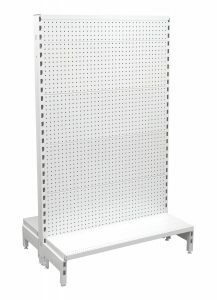 If you’re looking to fit out a re-fit a retail space and would like to discuss pegboard displays or any other kind of shop fittings, call us on (02) 9608 5122 or email sales@shopfittingsdirect.com.au. 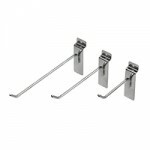 We will be happy to discuss options with you. 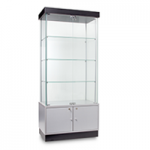 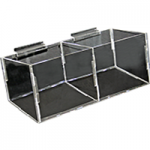 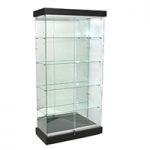 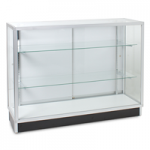 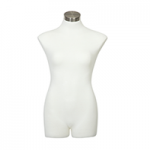 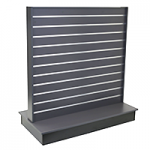 We sell all shop display units including slatwall, grid mesh and pegboard to Australia-wide businesses.